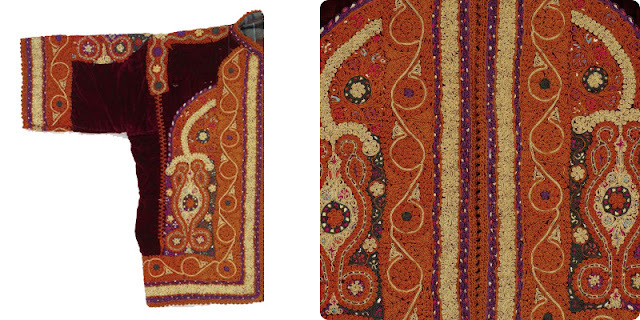 What astonishes about this colourful and graceful exhibition is that the art of embroidery and hand made ornamentation on the simple tent like dresses covering women in North Africa and the Middle East has not changed for the past thousand years. 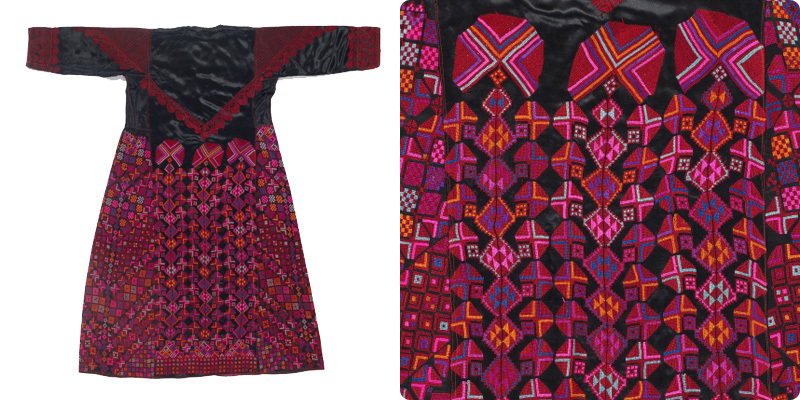 The oldest dress presented is that of a little girl from the 13th century: delicate red embroidery intact. 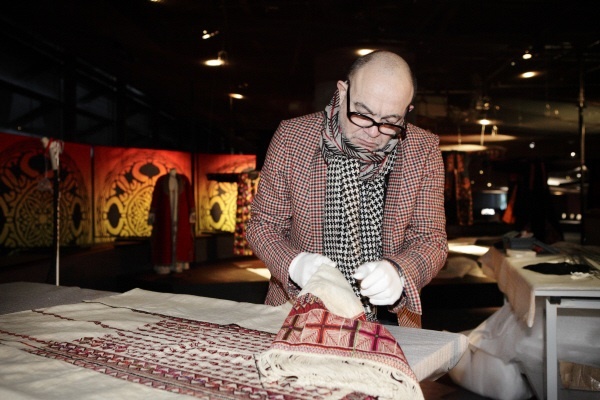 Christian Lacroix, the designer well known for his love of colour and embellishment chose pieces haunted by the lifelong work of women who put their skill and soul into creating that ceremonial dress of a lifetime.